Improving your maths skills will help to improve your poker skills as well. Even if you do not consider yourself to be a maths whizz, you can sharpen your ability to crunch numbers with a little practice. One of the most useful skills that you can develop when playing poker is to learn how to understand poker pot odds. What are poker pot odds? 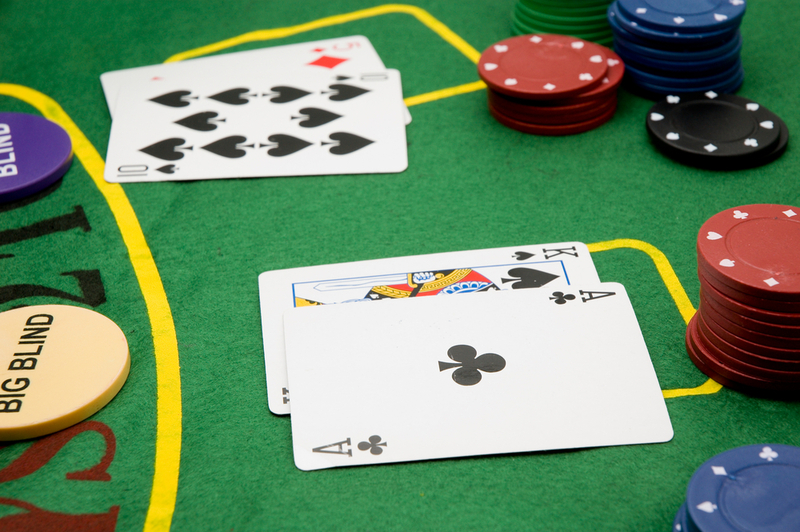 The term ‘poker pot odds’ means the probability that the hand you have got will win. Knowledge of this probability can ensure that you make the best decisions when playing online poker. If you have a hand that provides you with a very strong probability of winning, you can be confident about deciding to raise your bet, for instance. If you have a hand with a low probability of winning, however, being aware of this will mean that you do not waste any more money on placing further doomed bets and instead make the best decision and fold, sitting the game out and hoping for a better hand next time round. Card odds: the ratio of cards that will be helpful to your hand compared to those that are not. Look at the community cards and your cards, then deduce how many cards left in the pack could boost your hand. Let’s say there are 5 such cards. Then count how many cards there are in the pack, minus the number of cards held by other players, to deduce how many cards would not be useful to your hand. Let’s say that number is 35. So, the ratio is 35:5 or 7:1. Pot odds: this calculation is much quicker and easier. Just look at the size of the pot and then the size of the bet you need to make to win it. Say the pot contains £200. Your neighbouring player has just bet a stake of £40. In order to win that £200 pot, then, you will have to bet at least £40 yourself. So the ratio here is £200:£40 which translates to 5:1. Now, compare the pot odds and the card odds. If the pot odds are more greater than the card odds, the overall odds are in our favour and we can keep betting and playing. In the example above, this is not the case, and it’s best to do the opposite and to fold. The example above also indicates that when calculating the card odds, it is a god idea to have a strong card counting technique. See our other articles containing online poker tips relating specifically to card counting to get further information about this technique, which works by a process of elimination. Another way of deciding whether to call or flop in poker is by using a method known as the percentage method. With this method, you will once again compare the pot odds and the card odds, but this time you will express them as percentages. Let’s say your pot odds are 5:1 as in the example above. This translates to a percentage of 20% (as £40 is 20% of £200). Now, we need to work out the percentage probability that you will draw a winning card. Luckily, you can find convenient tables of these percentages online. Let’s say you’re looking for a flush, and the percentage that you’ll get the card you need in the next round is 5%. This percentage is lower than the pot odds, so you should probably draw on the next round. Does this all seem too complicated? If this all seems bewildering to you, there is no need to worry. A simple online search will show that you can find ready made tables of percentages relating to the probability of building up a particular hand in poker. Also on the web, you can find online ratio calculators and percentage comparison tools to do these calculations for you in the middle of your online poker game.